If you are looking at holding a Wild West Party or are looking for some Entertainment to keep guests lively at your Event/Party why not hire the Rodeo Bull. We offer Rodeo Bull Hire throughout the Country including Essex, London, Kent Surrey and the Home Counties Bedfordshire, Hertfordshire and Buckinghamshire. The Rodeo Bull is just one of many Items we can offer that will generate a Super Great Party Atmosphere. CAN I HIRE THE RODEO BULL OUTSIDE/ IN A BUILDING? The Rodeo Bull is robust enough to withstand both indoor and outdoor use and is light and compact enough to allow easy transportation/manoeuvring. We can set up the Rodeo Bull for Hire anywhere from a Private Back Garden in Berkshire or Hertfordshire to the 13th Floor on a London City Block. To Maniuever the Bucking Bronco form the Van to the Set Up point we do require 32 Inches Wide Clear Access. If Indoors we require Height Clearance of 9 Feet and Width of 15 Feet as a diameter. If the Rodeo Bull is Being Set Up Outside a 32 Ft (Diameter) area is required in Case the Rodeo Bull Marquee is required. The Rodeo Bull Marquee and Lighting will be provided in all Rodeo Hire Packages. We have 10 years Experience in running Rodeo Bull, Wild West and Themed events to a very high standard. The Rodeo Set-ups and Team are to a very high Professional Standard catering for a variation of events from Corporate Functions to Large Military Functions. My rodeo bull bed has high 4ft Tall safety walls and also a safety soft head on the bucking bronco can be supplied if needed. 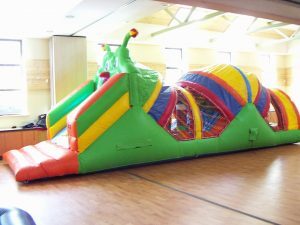 I can supply the Rodeo Bull Hire in Kent and surrounding counties with 12ft blow up bed (for smaller spaces) or 15ft JUMBO bed both are the same design (pictures in the link). CURRENT SAFETY CERTIFICATE FOR MAINTENENCE OF RODEO BULL EQUIPMENT INCLUDING BASE UNIT AND CLOCK.